As many of you are aware I have been playing tag rugby for quite a number of years now. It has been a dream of mine to travel to the Tag Rugby World Cup. I am delighted to have been selected to travel to Coff's Harbour in Australia in November 2018. 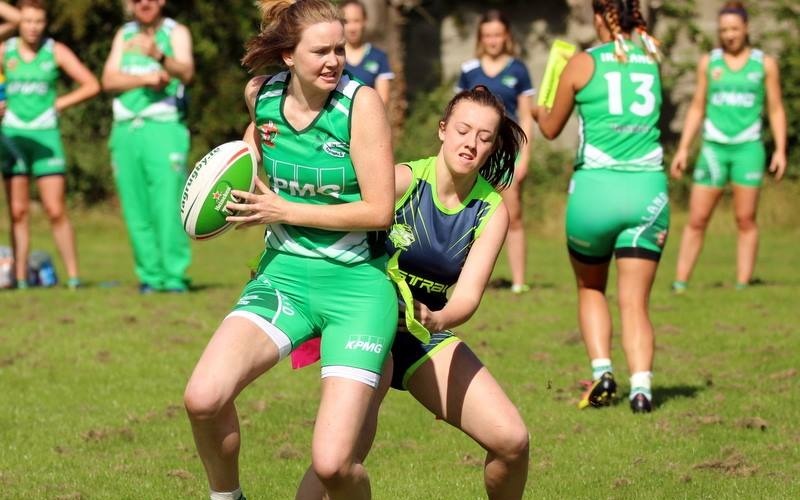 Although tag rugby is becoming increasingly popular, it is not a sport recognised by the Irish Sports Council. Because of this, all players must fund their own travel and participation. To be eligible to play I will also play for the Dublin Ladies Open Team this summer. The photo above is from last summer playing in the Tri-Nations competition against Australia. The money raised through this page will go someway toward my costs. The remainder of the costs will be covered out of my own pocket and through our team fundraising efforts. Please donate as much as or as little as possible to help me with these endeavours. All donations are greatly appreciated! Good luck, but make sure you take it easy on the Welsh team!